A lot of Android devices are being activated everyday. We hear the term ‘rooting’ floating around all the time. Most of the people don’t bother to tinker with their phones. They just want to enjoy their device as it is. Some people think that rooting their phone will break the software or damage their phone in some way, and so they don’t want to mess around. What exactly is rooting? Do we even need to root our phones? If so, why exactly do we need to root our phones? Root access refers to the administrator level access. It means that a user with root access can do anything on the device. 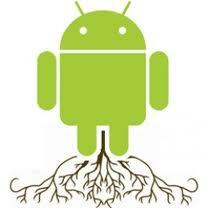 Rooting refers to the process of getting root access to your device, so that you can play around. General users are not familiar with the working of Android, so giving them root access is a bit risky as it can damage their devices. Hence the device manufacturers don’t give root access to the users. 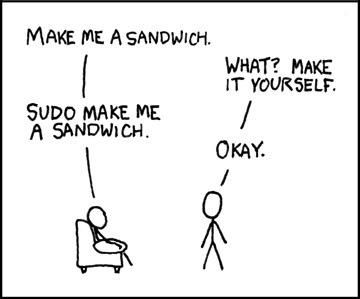 Rooting your Android device involves adding in a small Linux application called “su”. It stands for SuperUser and it allows applications to run with higher permissions. Everything that runs code, whether it’s an application or the user, has a permission level set by the operating system. The su program acts as a gateway that lets applications or users act as root while doing tasks. Do I really need to root my phone? The whole question of rooting arises mainly for running applications. Most of the applications you will need are available to you without having higher permissions. People who are satisfied with “most” don’t need to root their phone. But when you want to do things that affect or change the core software of your device, you’ll have to do it as root. These things might include updating the version of Android on your phone, or adding a nice piece of software from another device or running your own application etc. Some of the softwares are really useful in improving your phone, but they need root access. Things like a complete system backup or ad blocking software require you to root your device. You don’t have to root your phone just for the sake of rooting your phone. You need to know what to do with it! If you come across something you feel you could use or would like to have, then you can consider it. How is it different from jailbreaking? Jailbreaking is pretty close to what we are discussing right now. Jailbreaking an iPhone can allow you to use applications that aren’t manufacturer-approved. You can also change the look and feel of the device. Luckily, Android already allows this to a large extent. A lot of what you can do with a jailbroken iPhone, you can already do with your Android phone. One of the many niceties of open source! But to really unlock everything, you’ll need to root your device. The concept itself is more or less similar to jailbreaking. In essence, you’re allowing things to happen that wouldn’t have happened without root permission. The answer to this question is kinda tricky. Are knives safe? Sure, if an adult uses them. Kids, on the other hand, may not exactly know what knives can do. By not allowing root access, the manufacturer and your carrier have basically protected you from doing things that change the system and make it unusable. Rooting your device gives you power to do anything. If used properly, it can totally enhance your experience. But all it takes is just one wrong action to turn your new device into a useless piece of junk with no functionality. This is recoverable most of the times, but not always. You have to decide if you are comfortable enough to play with your device. You don’t really need to root your device if you haven’t found an application which requires root access. All manufacturers state that altering or using unapproved software voids your warranty, and rooting falls into that category. You can’t really blame them for this. They need to be able to support the products they sell. If you mess around with your phone, then they will not take the responsibility for this. Having said all this, rooting your device is a lot of fun. If you have a device and you wanna have some fun, root it and it will open up the door to a nice big list of applications! This entry was posted in Hacking and Fiddling, Mobile, Operating Systems and tagged Android, app, Hacking, Rooting, Shell, Smartphone by Prateek Joshi. Bookmark the permalink. This is a very informative post. It sustains interest till the end. Easy flow of words. Reader can anticipate that his immediate doubts will appear and will be answered. Super communication skills. Yeah … It’s totally fun if you know what to do and what it’s useful for.